I had just left a steady job to launch a career as a health coach. My husband, an ultra runner, was in the Air Force: a good job with good benefits. We had stability and a 2-year-old son, Felix. But like a lot of entrepreneurs, stability wasn’t enough. We wanted to create a way to make our lives a permanent adventure. So we made a big leap. 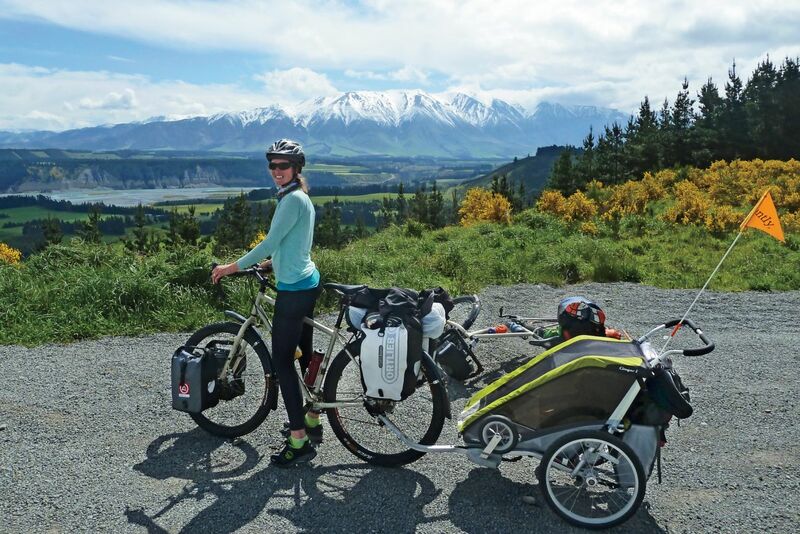 We quit our jobs, drew on our savings and set out to bike across the South Island of New Zealand for five months, with Felix literally in tow — in a trailer. Some of our friends thought we were insane. But we had to go. The cycle tour began on a rainy, gray day, just outside Christchurch. We had all the belongings we needed for the next five months and a loose itinerary. The latter was out of necessity — you can only plan so much on a trip like this — but it also represented a chance for me to let go a little bit, to learn to worry less about not knowing exactly what was going to happen on any given day. And a lot happened. During our first week, we got a flat tire about six miles from our destination. It was getting dark, and rain clouds were looming. As we sat outside a small shop in Staveley, fixing the flat, I felt a sense of urgency to get going and find shelter. A woman came over and invited us to come to her place just down the way so we could stay dry. We said no. I was stubborn. I wanted to get this tire fixed and get on with it. But she persisted. Finally, we said yes. Her son made us a delicious meal, and we enjoyed a beautiful conversation on the deck while the rain poured down. We ended up being invited inside her home to sleep. Best of all, we found out that this woman just so happened to be Lynda Topp — one of the famous Topp Twins, recently returned from entertaining Prince Charles. We had countless experiences like that. We met a lot of friends, had a lot of adventure. And Felix, if you’re wondering, was a star. It shaped who he is. Same for me. Today I run my own business. It blends my love for travel, the outdoors and finding inspiration and insight in physical activity by combining seminars with adventure travel. We now have three people working for us, and revenue has increased tenfold since we launched three years ago. I couldn’t have done any of it without the lessons of our trip. Yes, persistence is critical, but sometimes putting yourself in the middle of nowhere and going with the flow is the real key to achieving the life you want.